You are here: Home / Horse Welfare / Who is protecting the reining horse’s welfare? Think you for this Statement ! 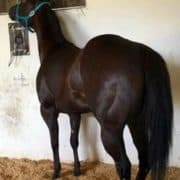 I am an European Horse breeder and I went away from the Reining Sport because I did Not find a Trainer for may horses anymore, who would train them with patienace and feel. Good for you Sarah for putting your horses welfare first! 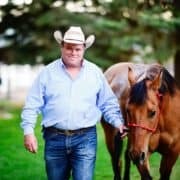 Please feel free to listen and share this song I wrote some years ago, after having enough of the reining industry. Thnk you for the artickle. Horrid. In every discipline or class, horses will be abused by some trainers. Walking Horses also. 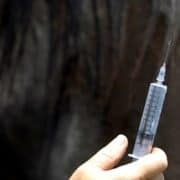 I’ve seen Grand Prix jumpers given injections not quite kosher to say the least. As long as owners pay big money to win, it will happen. The slap on the wrist this trainer got is typical and not just. The NRHA will not discipline it’s own, just as the TWHA has not. The government agencies have to act or our dear steeds will have no champion to protect them. Fear of retribution from the abusers is real and valid. 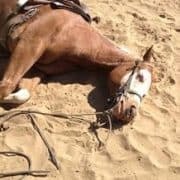 Anyone who would do this would hurt a person or their horses. Anonymous reports protecting owners is important. Courage to turn them in is essential. Let’s support those brave riders and owners. For now, my Fisrt Dreams for reining horses, the futurity start 4 or 5 years old. Il dont have enought knowleges for reining trainers or industry. These are not spur marks! 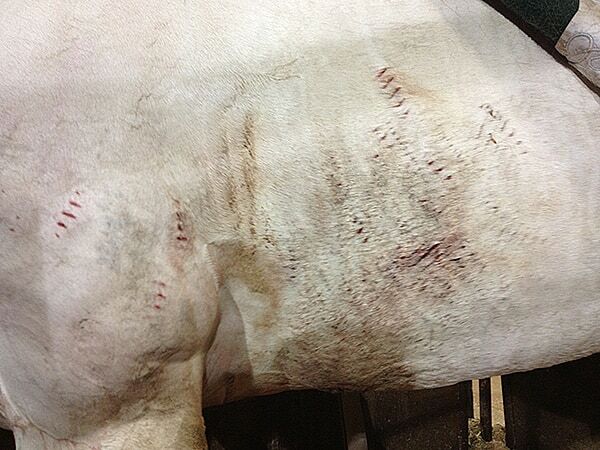 Something else was used on this horse and it is impossible to spur under the saddle where some of these marks are located. This is abuse, but looks more like fork marks than spurs! Nancy. 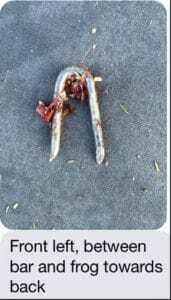 Please read the link which is the official statement from the investigation.The marks are a sharp spur being rolled and they can roll up under the saddle. Look at the picture of Craig Schmerscal doing just that on the site. Reining Trainers Engima finds this disguisting treatment of an animal. We hope you taken action to protect any animal you see being abused. They are spur marks. Andvit” not impossible to spur under the belly. Look at the size of the horse and length of leg of the rider, drop of the spur, and horses role their body like other animals. In every profession there are those cowards that use their job to inflict pain, suffering on something or someone helpless. It is the job of the public to identify them and shine a very bright light on what they do. They are bullies and cowards. Horses are sentient; they know nasty when they see it. Our job is to do the RIGHT thing and expose them publically for the losers that they are. I can only say “you are right!”. There are a lot of things went wrong in the reining sport and I avoid the word “industry” because reining horses should not a part of an industry but only of a sport. A lot of trainer lost their spirit from the beginning as a non pro by becoming an open rider and horse trainer under pressure of clients they want to see their horses win does not matter under what kind of circumstances. Especially a lot of younf reining “trainers” trying to reach the top and based on this forgett to use the brain and think about their way they going to reach that goal. Its more then good to read that out there are more people they care about the wellfare of horses and I say thank you very much for your efforts! I would absolutely stand up for the horses. We as owners have a duty to do such. If I personally ever caught anyone doing that to one of my horses that party would be begging for law enforcement to come save them. Disclosure: I am not part of the reining world, never have been never will be but I am a large part of the horses world. As a horse trainer and a manager of a non-profit who produces horse shows I am well aware of the abuse and misconduct of many of our exhibitors and trainers. 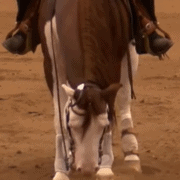 The reining discipline currently appears to be the worst and has been more than once called out. We do not offer reining at our approved AQHA shows for this reason. The warm-up arenas are overwhelmed with the jerking, spurring, stopping, spinning, for hour upon hour and then the show ring is a large group of exhibitors who choose to school again. 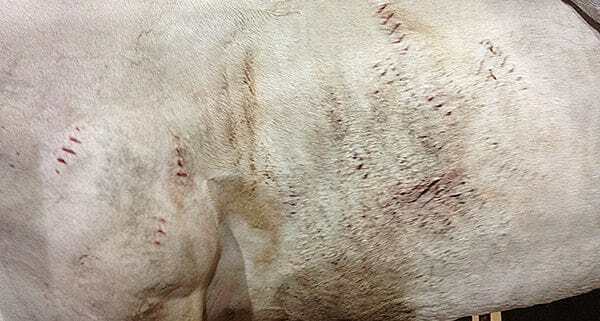 This is a disruptive, abusive situation that the reining industry as brought to the horse show and to the public eye. One I/we do not choose to support or condone. The statement that is quoted from Einstein more than sums up what is occurring throughout the horse world from halter to Gran Prix levels, By extreme example Hitler was never the real problem, one corrupt man; the real problem was those that remained silent through all the years leading up to the final atrocities. It takes a lot of strength and determination to stand up for what is right. Because there are many injustices played out in our world one must choose the one in their world that needs change. The reining world needs to face its enemies, they are not me, they are some of those you have chosen to represent you and your world. I was threatend with removal from the NRHA and private law suits l cant afford to defend when i wanted to report things after watching a show full of abuse and cheating. I loved the idea of the sport but will never recomend it to anyone again. You even have to pay to complain about abuse its so wrong and its there to put people off reporting it so it carries on behind closed doors or in warm up pens with no one watchig them, having to watch grooms rub hand fulls of sand in a horse to stem blood flow and tying nose bands down over ported bits and pulling so hard they have to stand up and its called a sport….. by deffinition thats clearly not what i have seen so id rather not bother doing it if thats what juges want done for high scores to be awarded. I have never watched it in the US so I can only speak as I find about European countries. Thank you for your note. You are one of many talking of the same experience and it is rampid across many countries.We are compiling information and will share it soon keeping people anon where requested. Therefor I reported Kyle to the spca and the rcmp if needed. Instead of going to the nrha. This way they took legal action immediately. I saw this abuse at first hand when visiting from Europe at a top top training yard .Was so shocked at the abuse – I knew it went on but could not believe how bad it was . Muzzles tied shut by cord so they could not open their mouths when the shank/port came into play. Bleeding sides caused by spur abuse. Constant spinning until they fell to the ground. Being slammed into walls when trying a run down for a sliding stop. Violent use of the bit – constant shanking, pulling and remember horse’s mouth tied shut so pain must have been unbearable!! Reins tied to their stirrups on one side whilst waiting to be “trained”. Horses left in “stables” no wider than themselves. could not turn round. lie down or move. facing a wall. 24 hrs a day and being charged for being at this “trainers” facility. Horses looking dead in their eyes with no hope left for them . And this starts at 2 years old. Abuse is also seen at shows “behind the scenes” and nothing is done. A secret camera needs to be left at this yard and plenty of others and the sad sad thing is that this reiner was passing on his “knowledge” to younger people who thought this was the way to train. Money, sponsorship and prestige at the NRHA is put above the welfare of the horse. Will not watch reining anymore . Cruel. Barbaric training methods. Who comes up with these senseless, unnatural ways to treat a horse? Sliding to a stop with sliders strapped to their back hooves and an egomaniac in the saddle. It needs to stop. It’s abuse, just watching it makes me cringe. NRHA Rules Score a Minus 1 ½ Did the NRHA Abandon Their Welfare Statement?